If you’re using Gmail for your email management, and you’re not expanding its functionality or tweaking it with plugins, you’re missing out. You can do a ton of different things with Gmail extensions. It’s surprisingly powerful. 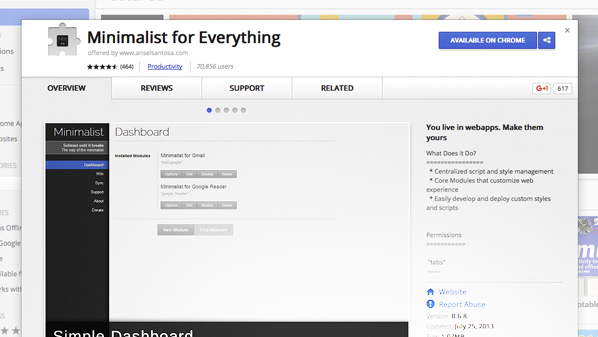 Here’s a list of the top 30+ plugins and browser extensions I’ve come across. Note that these vary wildly in specifications. Some are Chrome-only, some are available for all major browsers, and some are web apps or third party services. Some are free, some are paid. In my mind, if any of them are worth using, they’re worth paying a small fee to use. That decision is, of course, up to you. 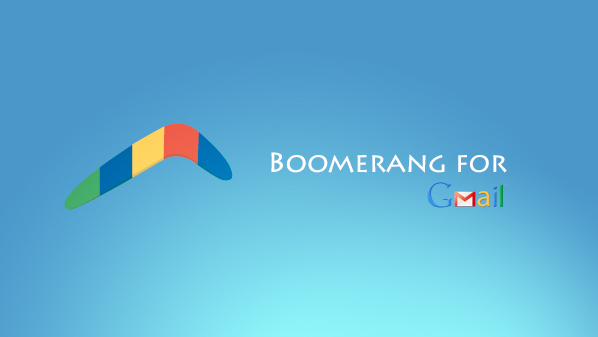 Boomerang essentially is a notification that tells you when you’ve sent an email and it hasn’t been opened or responded to. You set a time limit and send an email. If that time limit passes and you haven’t had a response, it returns the email to your inbox so you can send a follow-up or write off that contact. It also allows you to “delay” emails you want to focus on, but later. Boomerang it out and it will come back later, to receive your full attention at a better time. Yesware is a complete email tracking app that shows you everything you could want to know about your emails from the moment you send them. 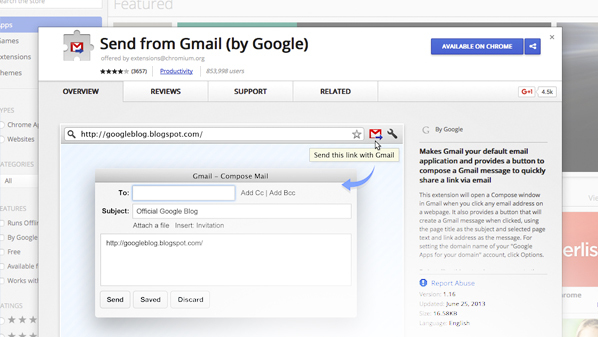 You can track who opens your emails, who clicks on links, and how long it takes them to do it. You can check the status of your messages at any time. You can schedule them, you can set reminders, and you can merged follow-ups. 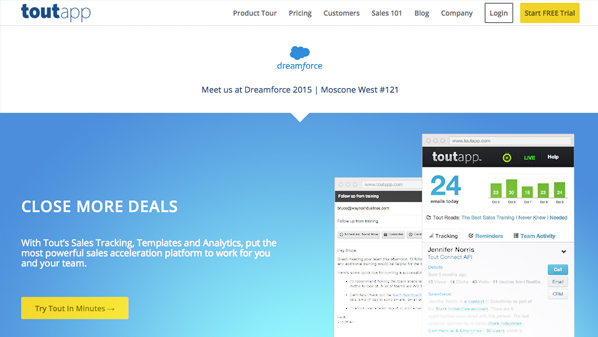 Plus it even has a click to call feature that integrates with Salesforce, if you use it. ToutApp helps you create canned responses for certain situations, using templates it provides. It also includes built-in stat tracking that gives you some basic email analytics on open rates, reply rates, and so forth. The primary downside is that it requires use of the web app. Streak works from within Gmail. It allows you to manage sales cycles from start to finish, with customer tracking, hiring, mail tracking, and a lot more. Warning; it tries to replace a lot of different CRM features, so it makes your Gmail very, very cluttered. Some other extensions later on down this list might be able to help with that. FollowUp CC is a service that helps you manage email follow-ups. You add a followup.cc email address to the CC field of the email you send. That automatically schedules a follow-up email to the recipient, at the date and time you specify. It also has website bookmark functionality to remind yourself of interesting web resources. CloudMagic adds features to the Gmail search function, including the ability to allow you to search your inbox while offline. It also has a broad search that includes your Gmail, Google Docs, Calendar, and Contacts information all at once. Once you’ve set it up, you don’t even need to log in to Gmail to use it. Gmail is a free web-based email client, and as such they have to deal with storing all of the data users send back and forth. Even though the average email is small, sometimes large or multiple attachments can take up a lot of space. Combined with Gmail’s archive feature replacing delete and you can run out of space very quickly. Find Big Mail helps you identify huge emails and can flag them for you. Gmail contacts lists can get out of hand very quickly, specifically if you save all the incoming addresses, you sync with your android device, and you import contact lists from various other services. Scrubly goes through your contacts and helps merge duplicate entries and remove junk contacts. It also make an automatic backup so you can undo any change it makes. Send From Gmail is a very simple extension that changes the default behavior of clicking a mailto: link in your web browsing. Rather than stalling out your browsing experience by opening Outlook or whatever mail program you use, it will automatically open a Gmail compose window n the spot. Taskforce is a gmail app that converts your emails into tasks. This is perhaps one of the most useful apps on this list, in my opinion. The subject line becomes the task line, which you can edit, and you can set due dates and collaborative teams for every task. It also syncs with Calendar for more functionality. If you’re not keeping on top of sorting and organizing your inbox, it can be very easy to be overwhelmed with hundreds of messages stretching back weeks or months. This can make it impossible to keep up with everything those messages indicate. Rather than dedicate a week to sorting out your inbox, use Sanebox. It sorts your inbox and flags the messages it archives with a label, so you can find them later if something you needed was sorted away. Active Inbox helps merge email accounts, and then helps you keep track of consistent organization across all of them. It has time-based labels you can apply to emails, to create prioritized lists of tasks you need to complete. It also includes some project management features to help you get things done. 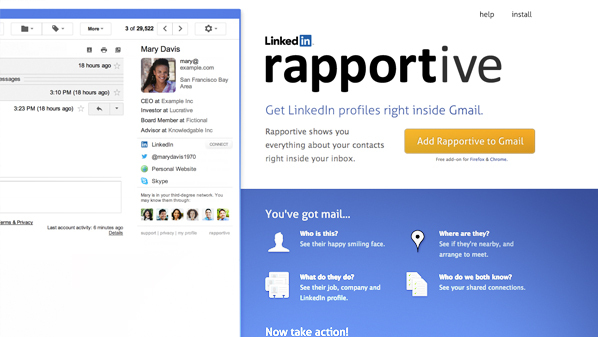 Rapportive is an enhanced contacts list that harvests and collates information about your contacts, including social profile links, profile information, recent communications, and more. If you create an account, it then allows you to customize the information it shows other people about you. MxHero Mail2Cloud a very robust extension that offers a lot of functionality. It can schedule emails, send emails with self-deletes if they’re not opened, and emails that track openings and clicks. You can set follow-up reminders and even customize each email in a bulk message individually. It’s limited only by the number of emails you send per half hour, and that limit is high enough you’ll almost never encounter it. Checker Plus is a very basic extension that doesn’t do a whole lot, but what it does is very customizable and very powerful. All it does is checks your inbox for you so it can notify you when a new message is received, without you having to check Gmail yourself. You can notify using a pop-up, a graphic, a sound, or even a voice reading of the entire email. You can also archive, delete, or mark the message as read without opening your inbox. Insert Text is a plugin that allows you to insert text dynamically according to macros you create. Essentially, it allows you to assign the phrase “address-mailing” to your actual mailing address, so all you need to do is click the button to add your mailing address. Think of it like templated canned emails, only in bite-sized modular chunks. You can macro anything from greetings to addresses to sales pitches. I like iFramely a lot because it’s very useful for avoiding procrastination. Normally, when you receive a link, you click it to see what it is. If it leads you to, for example, YouTube, now you’re stuck. YouTube is very good at getting you to watch just one more video, and next thing you know it’s three hours later. Well, iFramely creates iFrame windows in your emails that previews the URLs you’re sent, so you don’t need to leave your inbox. WiseStamp is a plugin that takes information you add to it and creates customized email signatures that look professional and are guaranteed to be formatted perfectly for viewing in any inbox. I recommend the premium version of the app, because it allows you to create multiple signatures for different purposes, and removes their ad linkback. Do you hate having to take your hands off of your keyboard just to click links and mess around with features in your inbox? KeyRocket is an extension that reminds you that Gmail is full of keyboard shortcuts and hotkeys, and teaches them to you. Whenever you perform an action that has an associated keyboard shortcut, the app reminds you of that shortcut, so you can learn it. Gmelius is one of the most robust Gmail formatting apps around. 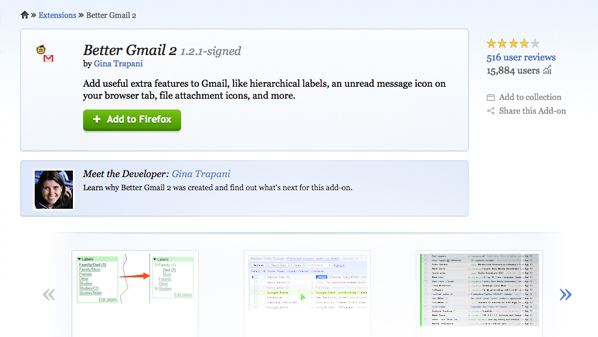 It allows you to customize the appearance and layout of Gmail in pretty much every possible way. You can move labels, view emails on hover, remove the chat widget, and a heck of a lot more. If you’ve ever had even a minor gripe with how Gmail looks and performs, use this to fix it. Minimalist for Everything is an extension that is very much like Gmelius, except it’s also designed to let you minimalize your inbox. You can change or hide just about every element of your email inbox until it’s as trimmed down as you could possibly want. It might not be useful if you use a lot of Gmail’s features, but it’s useful if all you do is basic email and ignore a lot of the additional bloat. You know how Gmail shows you a number, and that number is the number of unread messages in your inbox? The question is, how do you tell which of those are messages you haven’t seen, and which of them are messages that have arrived since the last time you looked? That’s all TrueNew Count does; adds that additional counter, to show you how many truly new messages have arrived since your last check. This is similar to Minimalist and Gmelius, in that it is an extension designed to help you customize your Gmail inbox and layout. Better Gmail doesn’t have a lot of tweak features, though; all it really does is allows you to hide elements, like the invite friends field, the ads, the footer, or the useless buttons up at the top that no one ever uses. OmniMail is a strange extension. It allows you to send emails via the address bar on your browser, rather than needing to open up a compose email box. It’s strange, because I personally can’t imagine when you would want to use it, but here it is if you can think of a use. Fair warning; it’s no longer available on the Chrome store, and is only available in the open source Github repository. It may or may not work, as well; it hasn’t been updated in several years. 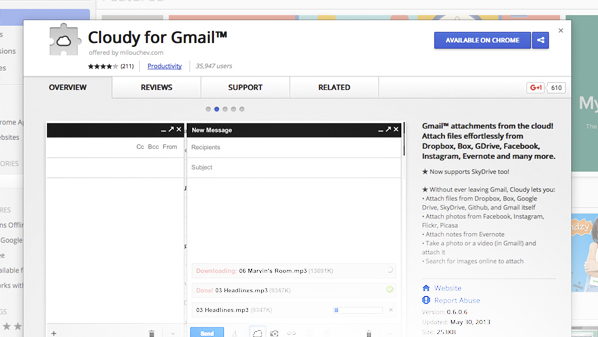 Where Minimalist and Gmelius are focused on tweaking Gmail, and Better Gmail is designed to hide elements, Google Redesigned is a complete overhaul and restyling of how Gmail looks, feels, and acts. It’s a custom stylesheet that you can tweak to change how Gmail acts, looks, and feels, at the drop of a hat. If the above three tweakers don’t work for you, this one most definitely will. If you know what LaTeX is, you know what GmailTeX does already. If you don’t, well, prepare to be schooled. LaTeX is the go-to program used by programmers, math majors, and scientists to create specifically formatted and accurate mathematical equations. However, to send them in an email, you typically need to screenshot them and send the image. 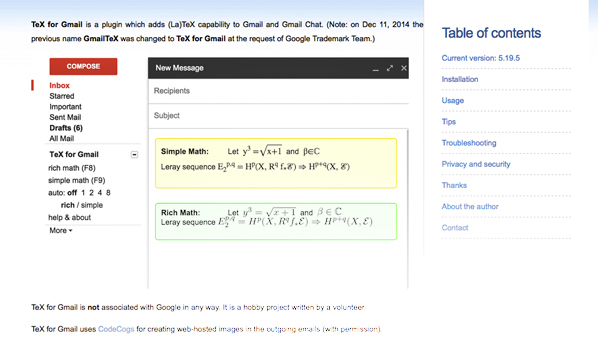 GmailTeX applies LaTeX to Gmail, allowing you to compose and send equations in your inbox. This is very similar to FollowUp CC, from much earlier in this post. FollowUpThen works in pretty much the same way, by having you add a time-based email address to the CC portion of your compose window. There’s not a lot of difference between the two services, so investigate them yourself and use the one that works best for you. Every time you register for a web app, sign up for a tool, download an ebook, or sign up for a newsletter, you’re adding more clutter to your inbox. If you’re like me, you don’t even notice half that stuff any more. You don’t pay attention to most of those newsletters, but it’s a pain to go through each of them and manually unsubscribe. Unroll.me is a service that shows you all of your subscriptions and allows you to unsubscribe with a single click. When you go on vacation, email becomes one of the only ways to contact you. No one really wants to call or text you on your vacation, and they can’t reach you in the office. However, checking your email every half hour while you’re on vacation can ruin the sense of vacation entirely. AwayFind is an email monitor that identifies whether or not a message is urgent, and if it is, will send you a text so you know that you have an urgent message waiting for you. Spend your vacation in peace, knowing that only the most urgent communications will reach you. If you’re addicted to social media and really want to quit, News.me is the tool for you. It allows you to stop checking social media constantly, and instead rely on a tool to do it for you. You link up your Facebook and Twitter accounts, and it will monitor them to create a digest of posts to show you each day. You’ll get that digest in your inbox, so you don’t even need to check the social networks unless you want to post. One of the primary benefits of using an email program like Outlook is that it downloads your emails and allows you to browse, compose, reply, and view them all while offline. You of course need an internet connection to send and receive new messages, but all the rest of your management is done offline. That’s sort of what Gmail Offline does; it allows Gmail to operate offline through judicious use of syncing while a connection is present. Snooze Your Email is very similar to Boomerang. It allows you to select email messages and put them on snooze, so they’ll come back later. You can set anywhere from a 5 minute snooze to having them come back a week later. Use it to remind yourself of important emails that you can’t answer right away due to being in the middle of a project. Cloudy is a basic feature-enhancing extension that I’m surprised isn’t already part of Gmail to begin with. Right now, if you want to attach a file to an email you’re sending from Gmail, it has to either be a file on your computer or a file on your Google Drive. If it’s in Dropbox, Box, Facebook, or any other site around the web, you have to download it first. Cloudy eliminates that step and allows you to upload from those locations directly. Meeting Scheduler for Firefox integrates your Gmail account with a shared calendar across everyone who receives the email. Essentially, it allows you to locate dates that are ideal for each member of the team, to find the best times to schedule a meeting. It will also track replies from people who are meant to attend the meeting, and has a few additional scheduling features that can be pretty useful. One is missing here: Deskun. Top Gmail unlimited mailtracking, scheduling, reminders. Best free CRM for Gmail is Bitrix24. Nothing else is even close, the free limit is too low in other CRM.